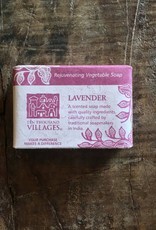 Handmade and Fair Trade scented soaps made in India. 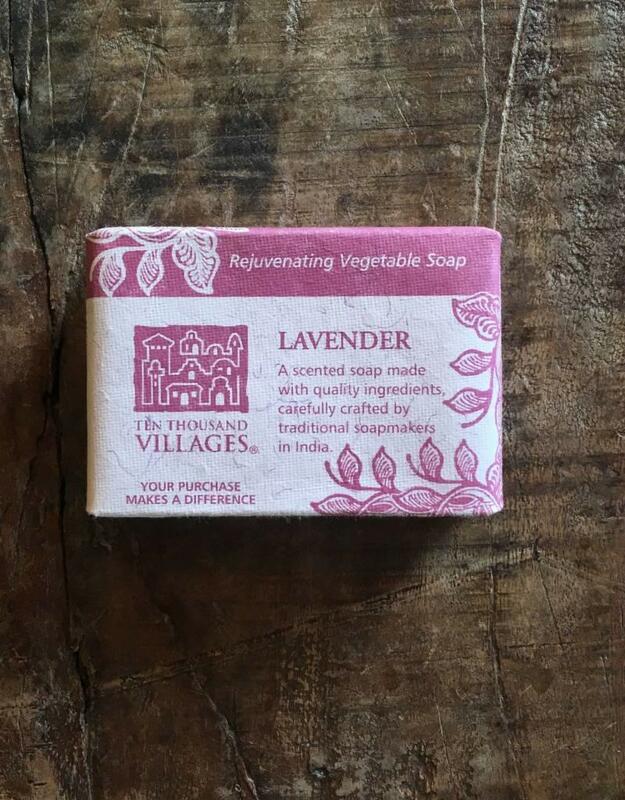 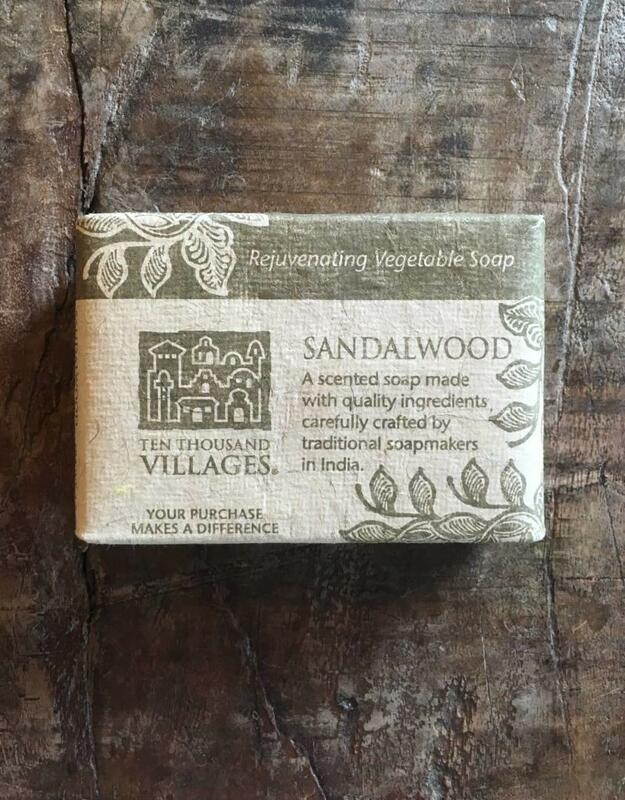 Each soap purchase benefits the Palam Rural Centre which supports artisans and their children. 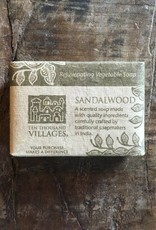 Sandalwood and Lavender soap ingredients: Hydrogenated rice bran wax, palm oil, coconut oil, water, coconut stearic acid, glycerin, perfume, citric acid, sodium chloride, sodium hydroxide, zinc oxide. 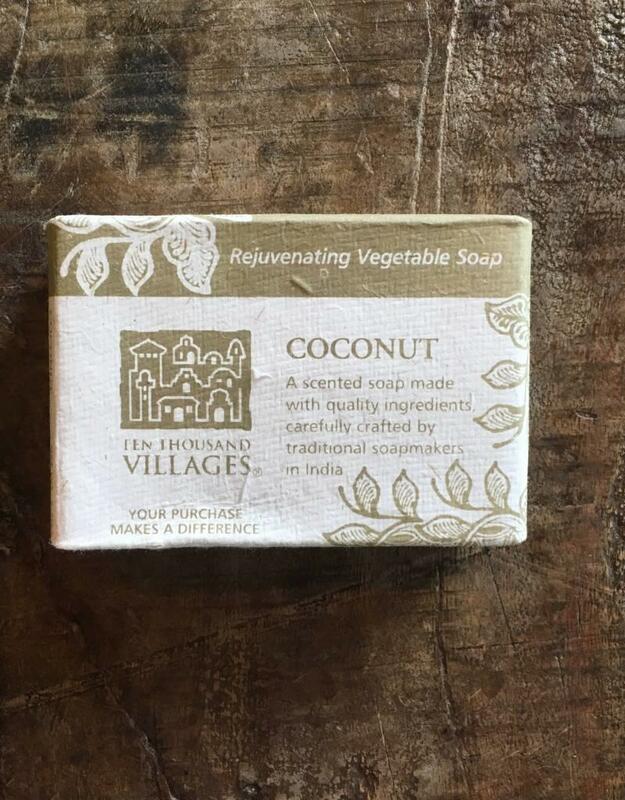 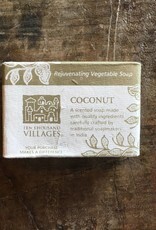 Coconut soap ingredients: Coconut oil, palm oil, mohua oil, water, coconut stearic acid, glycerine, perfume, sodium hydroxide, sodium chloride, citric acid, zinc oxide.